Piney Wood Atlas is a traveling project, a website, and a series of books that collect and connect small artist residencies across the country. It is a collaboration between Alicia Toldi and Carolina Porras, who met at the Elsewhere Studios residency in Paonia Colorado. For both of them this was their first residency after art school, and it proved to be a seminal experience that launched their collaborative duo. In conversation with Marlee, they explain their process of fundraising for and embarking on their epic road-trip journey from one unconventional residency to another. The two talk about the differences between residencies in regards to cost, teaching and outreach opportunities, interaction with other artists, lodging and landscapes, expectations and commitments to the community. Alicia and Carolina are more interested in the emerging and eclectic residencies over the more established residency programs. They share special little parts of the various residency experiences- from curated mix tapes to a composting toilet, to a flock of pigeons. Rather than just providing a list of available residencies, the intention of Piney Wood Atlas is to make a database that best explains the vibes of various residencies, giving us a closer look into the personalities of the spaces. They close the conversation with a list of important things to consider when seeking a residency- to best fit your needs and expectations. Alicia and Carolina are working on the next issue of the guidebook that documents A.I.R. programs in the Southwest, and promoting the first issue that covers the Northwest. Buy it here! 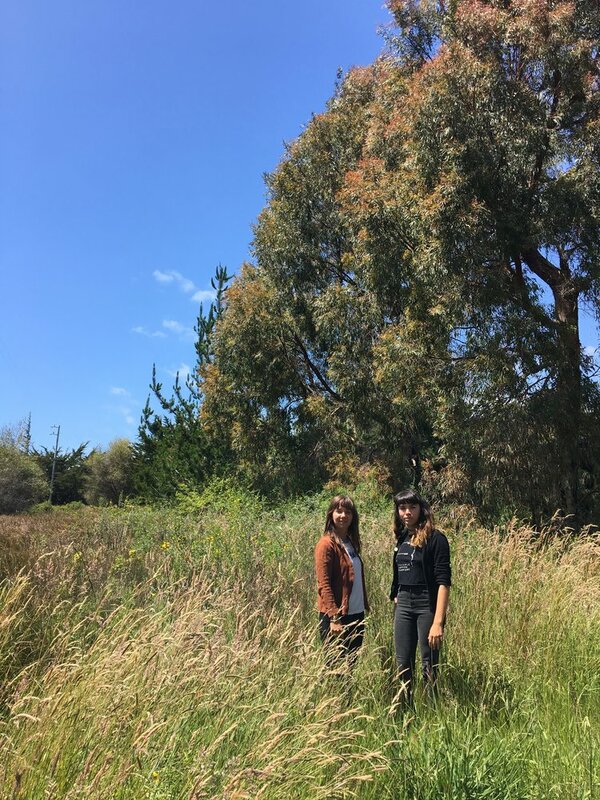 When they are not touring residencies, Alicia and Carolina live across the country from each other, but with an awesome grant from the Sierra Nevada College, they will be doing a residency together very soon! Alicia and Carolina are both excited about storytelling. While on their road trip, collecting stories of each place, they listened to podcasts of The Moth and 99% Invisible. They are both reading books about narrative and an epic story of our country in The Faraway Nearby, by Rebecca Solnit, and Under the Banner of Heaven: A Story of Violent Faith, by Jon Krakauer.